Yes, we're an Android site. Yes, there was an Apple event today. We're gonna talk about it. As the newly-recast Rhodey said in Iron Man 2, "It's me. I'm here. Get used to it." 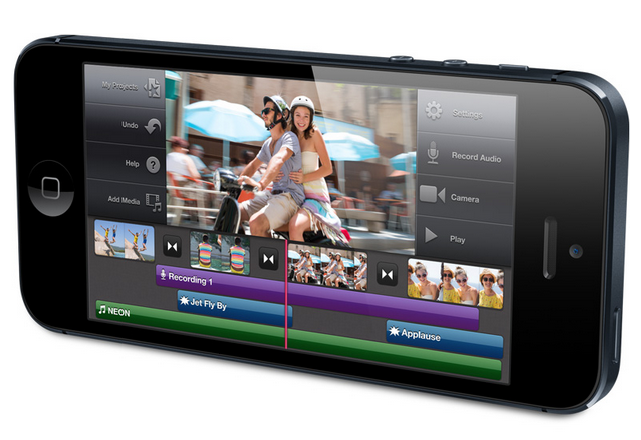 Because the new iPhone raises a lot of questions: Didn't I see an Android phone with [some feature] before? Is the new iPhone really the thinnest smartphone around? Why in the world would apps need to be letterboxed? The answer to these questions and more lie within. What doesn't lie within is fanboy bickering. Let's keep it civil everyone. 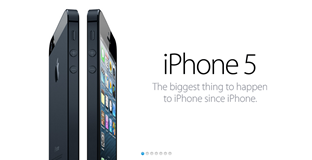 Easily, the biggest new feature for the iPhone 5 is the display size. At four inches, a behemoth it is not. It is, however, going to be heavily implied that the newest iPhone is increasing in size in partial response to the growing size of Android handsets. This is very difficult to deny. It is worth pointing out, though, that it's still far below most flagship handsets from the Google camp. The Galaxy Nexus (4.65"), One X (4.7"), and Galaxy S III (4.8") all have more than a half inch of real estate on the new iPhone. Even the RAZR M's display only clocks in at 4.3", the same size as the original Evo, and still a quarter inch larger than the new iPhone. 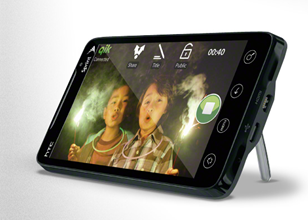 For a comparably-sized Android phone, take a look at the Incredible 4G LTE on Verizon. It's fair to say that Apple is following Android's lead in this area, if hesitantly. There are some great reasons for this, though, which we'll get to in a bit. Suffice to say, the iPhone is not breaking any new ground here. Which isn't noteworthy. 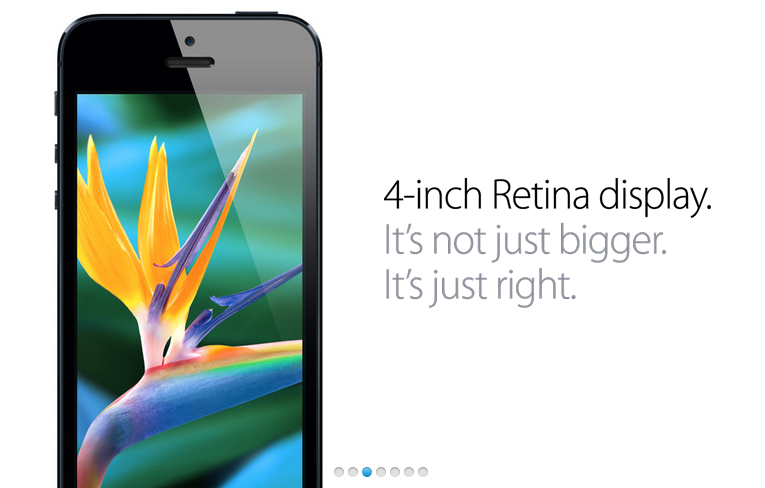 What is noteworthy is that Apple insists that, at 7.6mm, this is "the world's thinnest smartphone." Um, yeah. About that. As it turns out, the Motorola RAZR claims to have that beat with 7.1mm. If you don't count the bulge, which Motorola doesn't. There is also the Oppo Finder, an Android 4.0 device with a profile of 6.65mm. There may be some technicalities to be called, but suffice to say that 7.6mm doesn't set any records. Probably. Fun fact: Did you know this iPhone 5 marks the very first time in history Apple has changed the resolution of an iOS device by anything other than a factor of 4? The original iPhone had a resolution of 480x320. When the resolution was bumped up to "Retina Display" the new spec came out to 960x640. Notice anything interesting about those numbers? Yup. Each new dimension is exactly twice the number of pixels as the old one. And, as we know, thanks to geometry, doubling the sides of a rectangle quadruples its area. Of course, the actual size of the iPhone didn't change, but the number of pixels went up by exactly four times. Same physical screen size, four times the pixels. Thus, Apple achieved a higher display resolution without the need to reorganize any app elements. I'll spare the math, but the same thing happened when the iPad's resolution changed. Quadruple the pixels, exact same screen size. 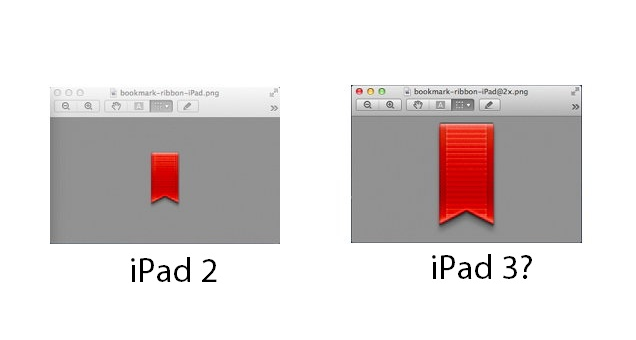 Left: iBooks assets designed for 768x1024 iPad. Right: Same assets for a 1536x2048 iPad. Pixel doubling! There were a few reasons for this. For starters, it meant Apple didn't have to take any new dimensions into consideration with the new design. It still fits in your skinny jeans and everything. More importantly than that, though, developers only need to provide higher resolution assets to make their apps "retina-compatible". This is very, very important because iOS apps do not dynamically scale. It's a common mantra among both critics and proponents of Android alike: "Android supports a wide variety of display resolutions and sizes." It's true. 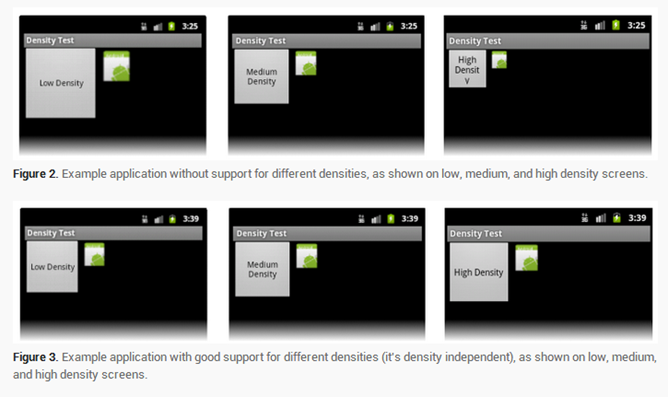 This means that if an app is designed on a 4.3" display and is then run on a slightly taller 4.5" display, no worries! Everything will adapt by itself, for the most part. In iOS 6, on the iPhone 5 (*sigh*), there will be a slightly different solution: letterboxing. This may not seem like a huge problem, but what's the point of a 4" display if your apps will only use 3.5" of it? Ultimately, this is something the new iPhone will continue to deal with until developers catch up. In related news, you can probably expect 4" iPhones and iPod Touches for several more years. 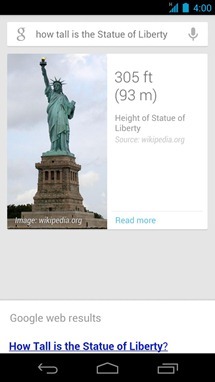 While it requires a bit of extra work, Android is designed from the ground up to handle all manner of screen sizes. It's also worth noting, while it's not impossible that Apple will release a 7" iPad Mini, this is yet another very big consideration for the company before it does so. Unlike Android manufacturers, Apple has to consider very, very carefully before it creates a new form factor. And it usually means all developers have to adjust accordingly. So the number of "completely compatible" apps jumps back down to zero. Sure, there are 250,000 tablet apps for the iPad, but how many support a 7" form factor? This is what Andy Rubin and Matias Duarte talk about when they say there shouldn't be tablet-specific Android apps. In my time watching and covering gadget news, I've learned one thing over everything else that I like to remind people at every opportunity I get: everyone copies. So what got copied this time around? Well, Apple's decided to make the inspiration for its latest features pretty obvious. The big one, Maps, arises out of the ashes of the now-defunct don't-call-it-Google Maps app. 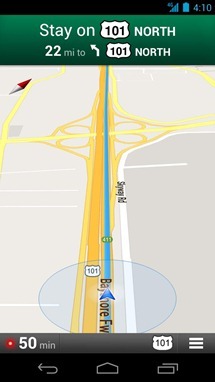 Prior to this, Google has provided the map data (if not the app itself) for iOS. That changes with the new iPhone, when Apple will roll out its own turn-by-turn navigation features. This will be big news for people who already have or know they want iPhones, but not necessarily for anyone who's considering switching. 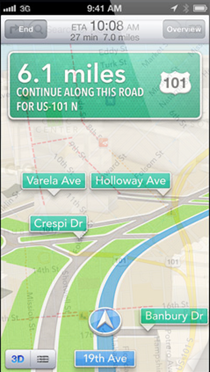 Before this, you could only get turn-by-turn navigation via a third-party app solution. 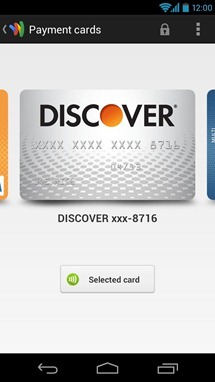 On Android, it's been built in since the launch of the original Droid. This is now feature parity. Or something like it. Unfortunately, public transit directions seem to be left out. Then there's Siri. Apple announced several new updates to Scorsese's favorite finder of stallion pictures back at WWDC, so not all of this is new. 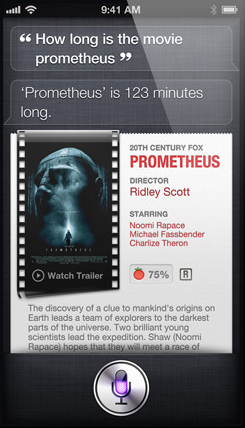 However, two of the headlining updates for Siri are sports team integration, and movie showtimes. Well, as it turns out, not only did Google announce the new and improved voice search and Google Now a couple weeks later, but since then the company has added sports and movie listings to both products. The modular approach appears to be working, as Google seems to iterate individual apps faster (even though it takes much longer to get new OS versions on to Android devices). Panoramic photos are another new feature added to the latest iPhone. We saw this little addition in Ice Cream Sandwich. Of course, this is one of the curses of being first on Android. Despite being out for a solid nine months, only twenty percent of Android phones have ICS, and thus, the Panorama feature. So, the "who got there first?" game is kind of arbitrary. 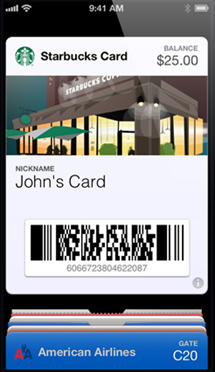 Oh, and then there's Passbook. 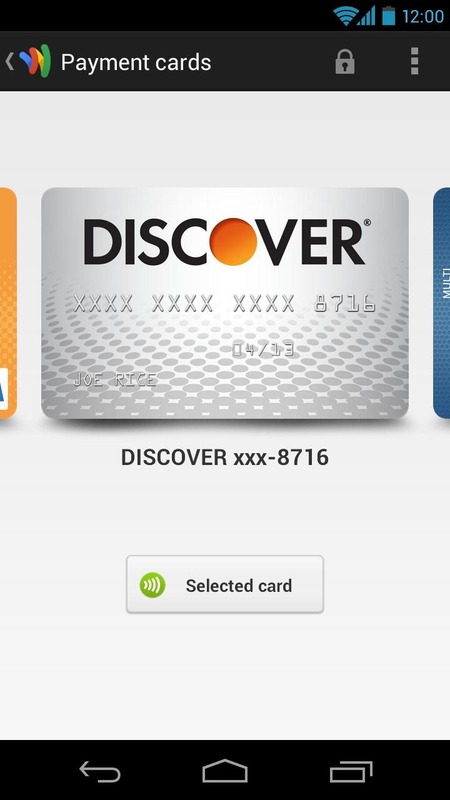 On the Android side of the aisle, we have an NFC-enabled Wallet that you can use with any debit and credit card at a very small but growing number of retailers. 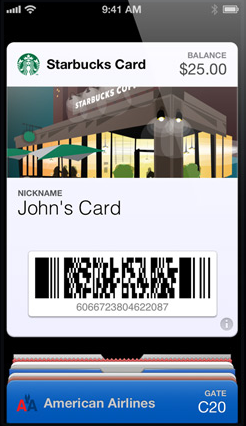 On the iOS side, we have an NFC-free Passbook that you can use to keep track of plane tickets, movie stubs, and a select number of retail gift cards, which you may or may not be able to use directly at those places of interest. Let's be completely honest here. Both of these companies are building a service that won't reach maturity for a while. Neither is as fully featured as it could be yet, but hey. Now you can decide which platform to go with by weighing how often you buy stuff at Rite-Aid versus how often you fly with Delta. Both solid choices...though we wouldn't hate a new Nexus here soon, Google. Nudge nudge, wink wink, say no more. So, you're an Android user. Or you're on the fence. Or you spend way too much time arguing with people on the internet about which platform is better. You want to know how Apple's announcement affects you today, right? Here's the short version: not too much. For starters, all the interesting stuff was announced back during WWDC at the reveal for iOS 6. Today's presentation was largely about the new hardware. The big takeaway is that the new iPhone will be a little bigger and a lot faster. In other words, it's been a year since the last iPhone was announced and technology continues to move forward. Should you be considering jumping ship, though? That's really up to you. There was a time when a new product announcement could mean a dramatic shift in who's on top. It's just not the case anymore. Android has a thriving app ecosystem, and let's be honest, you're probably going to have way more hardware to choose from, and see new standards and device trends way sooner than you would on iOS. This has its advantages and disadvantages. At the end of the day, though, even if we are an Android-themed site, our friends on the other side of Silicon Valley have a decent platform. And we'll continue to nudge each other along. Who knows? Maybe someday we'll usher in a golden age of friendly competition, where we all push each other to create better products, and nobody sues each other! .....Fat chance. A guy can dream though, can't he?